2. 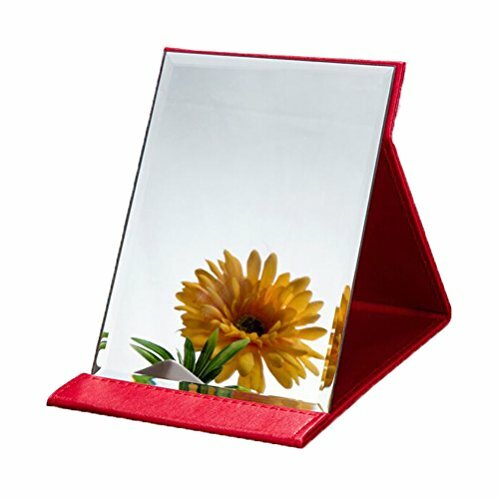 This cosmetic mirror is very good processed, has a secure stand and a large mirror surface. 3. You can adjust the mirror when applying eyeliner, eyeshadow,Lipstick, body care, hair plucking, shaving, etc. Note:We pack perfectly before shipping! But as you know this is pulverous, the product may be damaged that the powder spill out a little because of transportation problems. Please understand or contact us for help immediately. Thanks. JOLY's TARGET: Offer the best quality goods and best service for every client, let you happy to shopping from Joly Direct Store. QUALITY INSPECTION: Before shipping, We will inspect each item to insure high quality item to delivered on your hand. SHIPMENT: Our first choose is fulfillment by Amazon. If you have any request, you can send message to us. If you have any questions about this product by JOLY, contact us by completing and submitting the form below. If you are looking for a specif part number, please include it with your message.